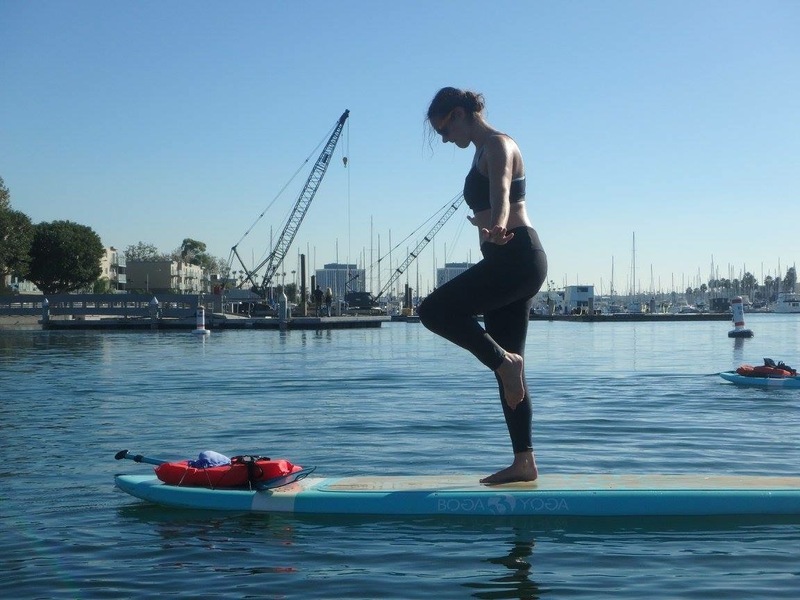 Prior to moving to California, I had tried standup paddle boarding (SUP) and I had practiced yoga, but never at the same time (SUP Yoga). While living in Amsterdam, standup paddle boarding was something I always wanted to try, but I never had the opportunity or made the activity a priority. Naturally, I have always liked to stay active by doing Pilates, going hiking, or doing high intensity interval training, but yoga was something I had done only a handful of times, on and off over the years. After moving to Los Angeles, I knew the outdoors was going to be a part of my everyday lifestyle. 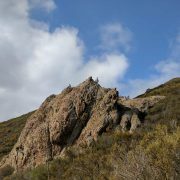 I found the Facebook group Girls Who Hike LA and one of the gals, Courtney, organized a SUP outing in Marina del Rey. Doubt never entered my mind; I had to go. 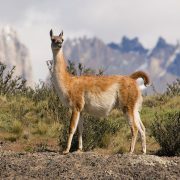 The entire morning was a remarkable experience, sharing stories with the girls and gliding through the beautiful harbor. I believe if you do what you love and you stay true to you, the rest will fall into place. The universe will introduce you to likeminded people who share similar values and interests. 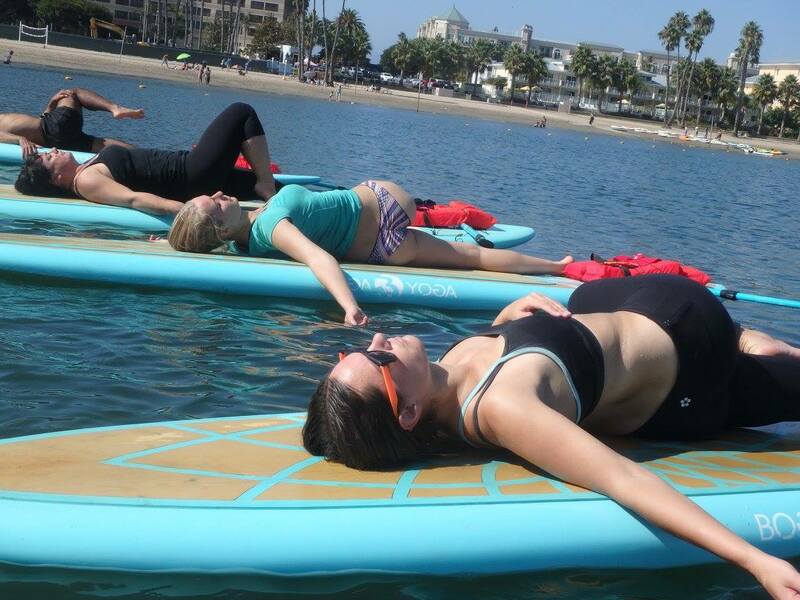 But it was also on that day I witnessed SUP yoga. 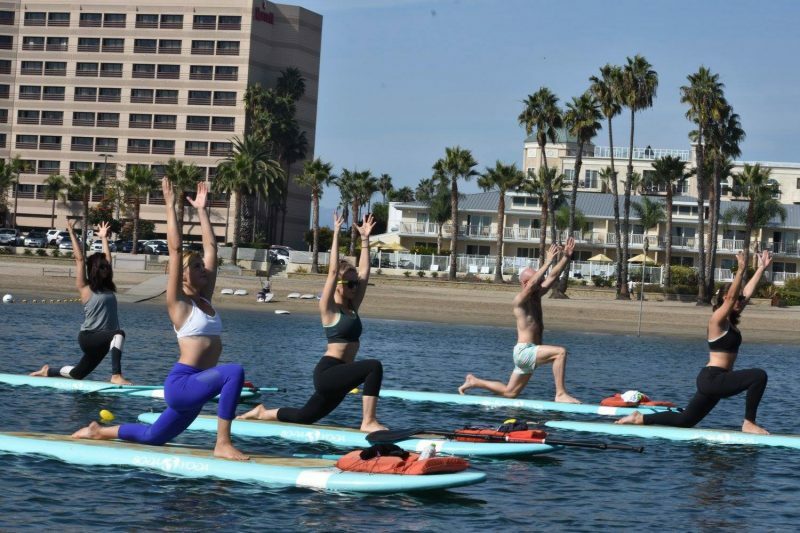 A Yogaqua class was being held in the middle of the bay, and being the adventurous woman I am, I said to myself, “that’s what I’m going to do next.” Almost by accident, I stumbled upon Yogaqua. Well, I don’t believe in accidents per say; I should probably save that for another post. In short, I believe in happy coincidences. Every choice we make, every person we meet, leads us down the path we are supposed to be on. Did I find Yogaqua, or did it find me? 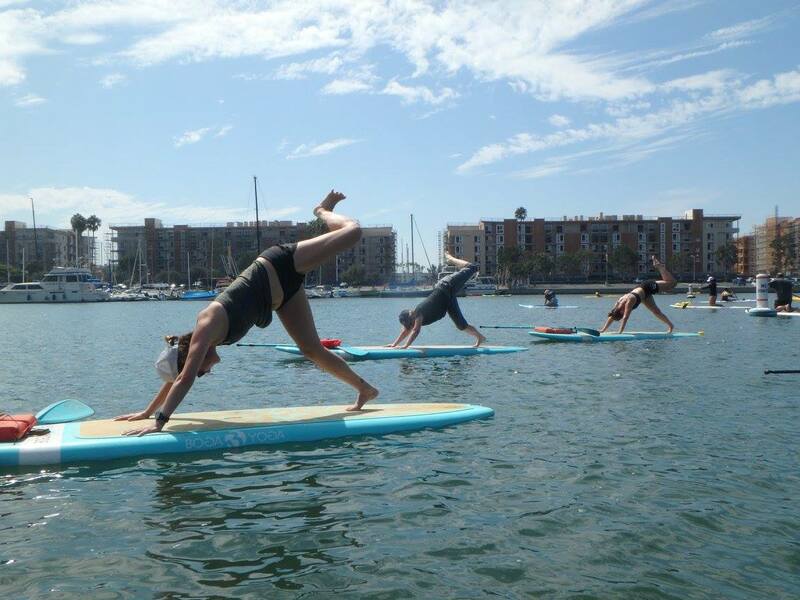 Now, every week, I am down in Marina del Rey, out on the water with the SUP Yoga tribe. 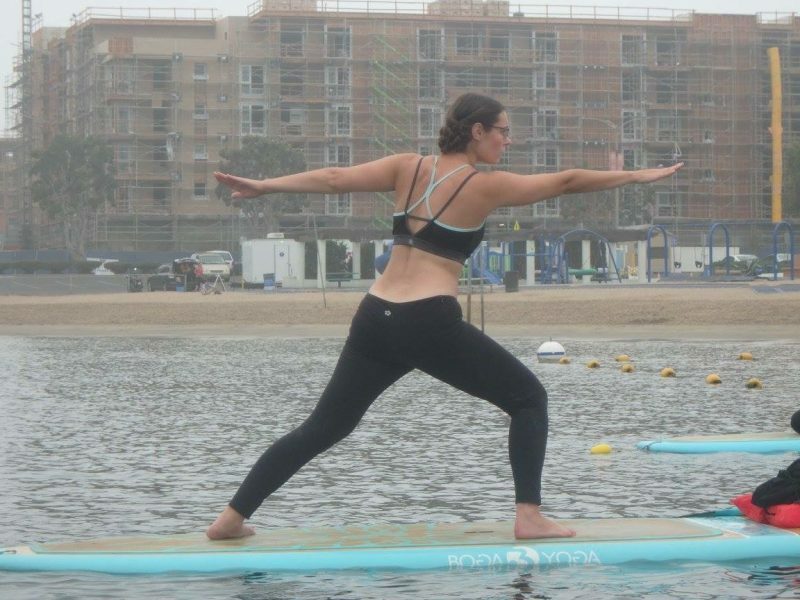 SUP yoga is unlike anything I’ve ever experienced. 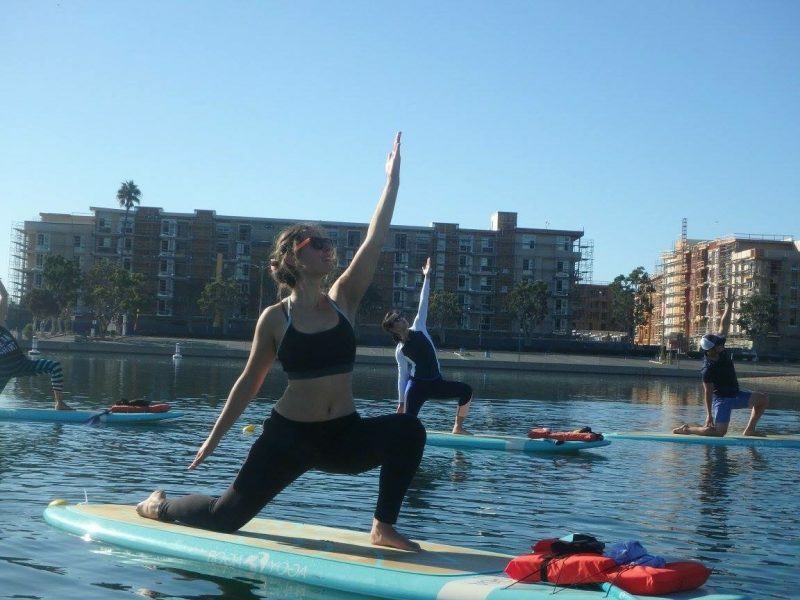 Every session, we paddle for about 30 minutes and then we do a yoga session for an hour. 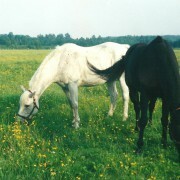 The practice challenges the mind and body in unique ways, from maintaining balance and pushing the physical limits of the body, to overcoming fears and conquering the mind. Yoga? On a paddleboard? Sounds crazy, right? Trust me, the board is more stable than you think. Plus, you are anchored, so you don’t float away during practice. Take it from a rookie; my balance is not so great, although I’m slowly improving, class by class. I only fall in when I’m doing headstands, so you’re probably safe if you try this yourself for the first time! Honestly, I fall in because I push myself to the max and I let go of all the fear I feel. 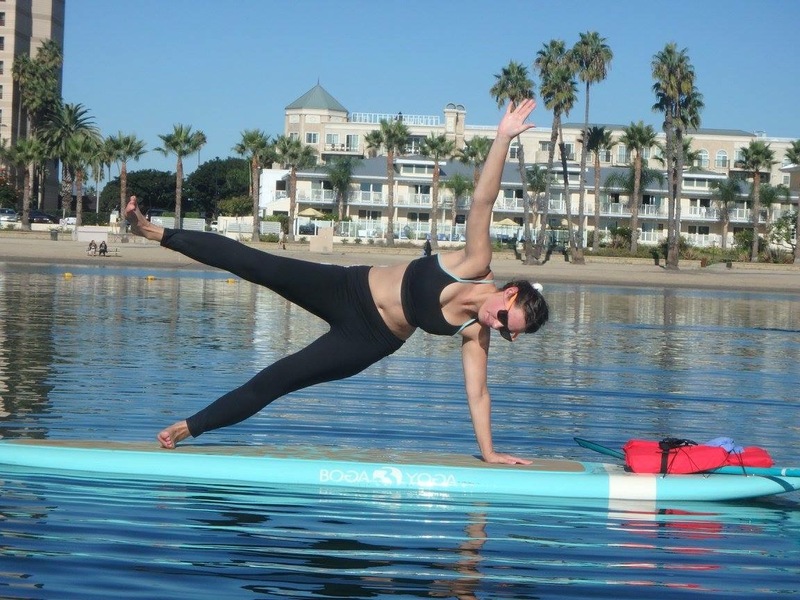 Part of what I love about SUP Yoga is the water is there to break my fall… not concrete or wood or any other hard substance. The water removes that mental block, allowing me to release my inner self and soar to new heights. 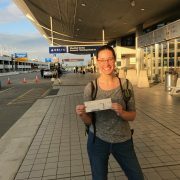 Sarah Tiefenthaler, the founder and owner of Yogaqua, created an amazing atmosphere. Everyone is incredibly warm and welcoming, greeting you with a big smile and warm heart. The classes blend mindfulness, strength training, and flexibility, as well as the most important component – fun. The whole combination leaves me feeling invigorated and refreshed, strong and independent, accomplished and Zen. 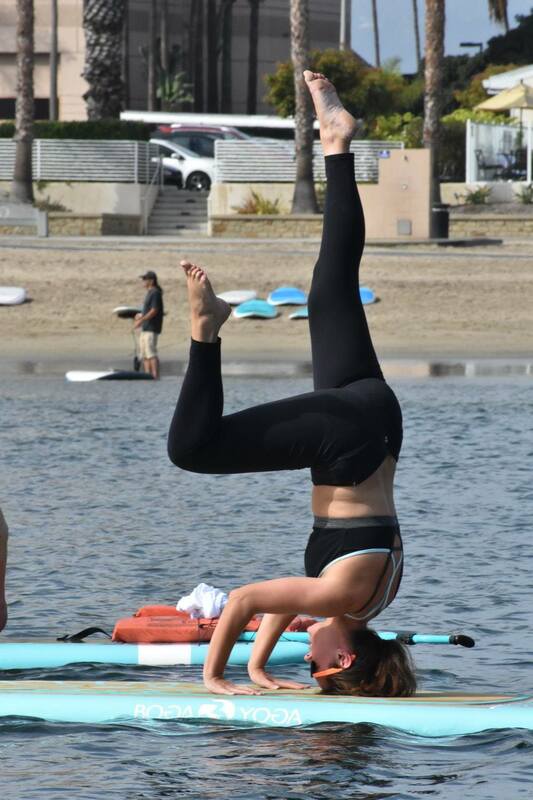 SUP yoga is my way of re-centering. It’s a time to focus on myself as a whole and explore my limits, mentally and physically, while surrounding myself with positivity, friendship, nature, and sunshine. As Jeremy Redman of Not Boring Business said to me, home is where you belong, and when I’m on the board practicing yoga, I belong; I am home. 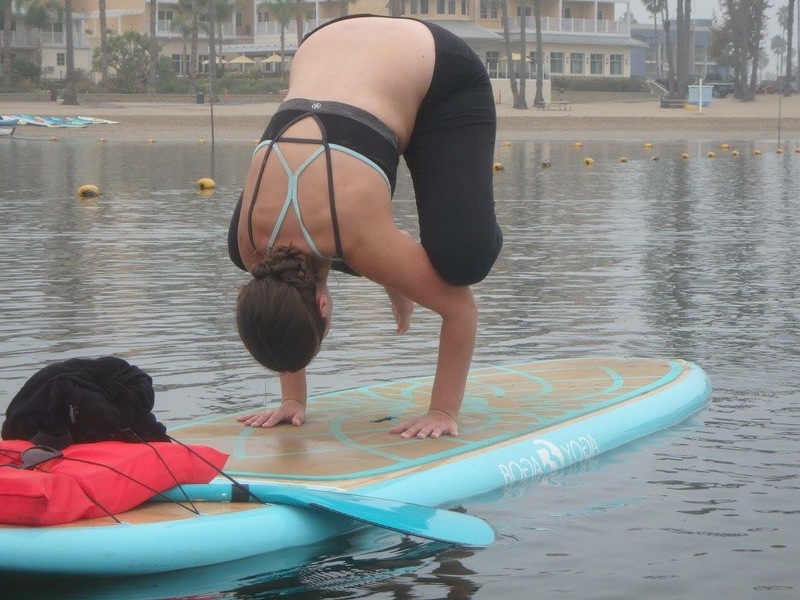 Whether you are a beginner or a lifelong yogi, I hope you are able to try SUP yoga at some point in your life. Do you live in LA? 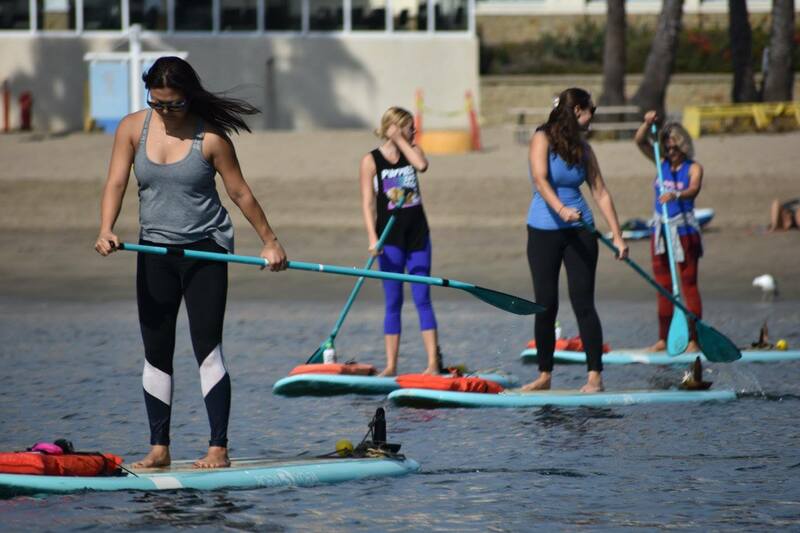 Are you visiting Los Angeles and want to give SUP yoga a try? Want to stretch your body and mind to new limits? Come meet us in Marina Del Rey! Heading west on Washington Blvd., turn left on Palawan Way. Pass over Admiralty Way. The beach will be on your right and Parking Lot 9 will be on your left. There is a pay station in the parking lot, and it is $1.00 per hour. We gather outside the truck (you cannot miss it!) before heading down to the beach together. 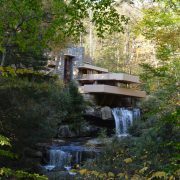 Classes are offered on Fridays, Saturdays, and Sundays. Check out the schedule here. Hope to see you one weekend! Please give me a shout out on social media if you are planning to join, so I can try to join the same class. All photos in this post by Yogaqua.